In an effort to promote Florida as the Fishing Capital of the World, Governor Rick Scott today participated in his 13th ‘Let’s Get to Work Day’ at the Florida Bass Conservation Center at the Richloam Fish Hatchery. 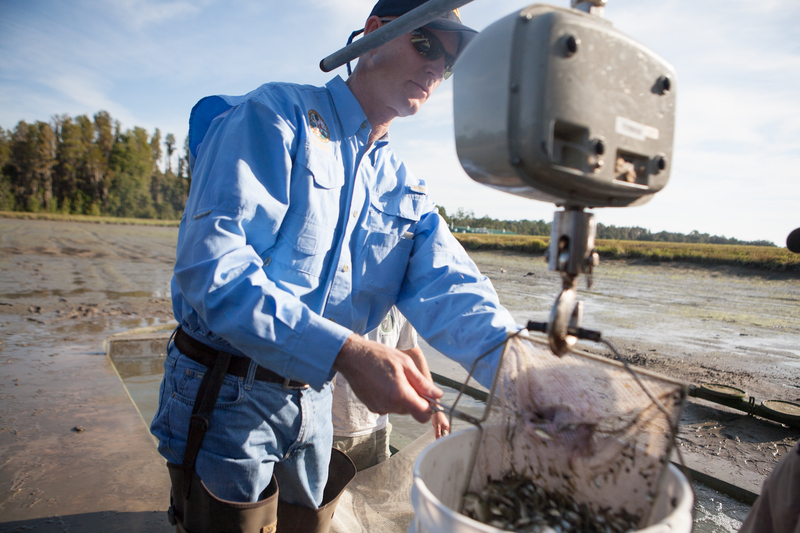 Throughout the day, Governor Scott worked with Florida Fish and Wildlife Conservation Commission (FWC) employees in stocking Florida’s public waters to help Florida remain the best place to fish. Florida is home to 7,700 lakes, 3 million acres of fishable water, as well as 12,000 miles of rivers and streams. Florida’s freshwater serves 1.5 million anglers and accounts for $2.6 billion in economic impact supporting 24,800 jobs annually. For black bass in Florida, in 2006 anglers enjoyed more than 14 million days fishing, generated a $1.25 billion economic impact supporting almost 12,000 jobs. The Florida Bass Conservation Center is a modern facility located on Withlacoochee State Forest, in Sumter County. It has a visitor’s observation area with informative displays, conducts research, and produces the majority of freshwater fish that are stocked in public freshwaters throughout the peninsula. They are also equipped to do fish health analyses and to provide samples for genetic analyses.